A&K Candy Boutique is a candy bouquet business owned and operated by partners Alyssa Barrett and Karlie Squires and has been in operation since May of 2016. They create candy bouquets for all occasions, and have a large selection of theme bouquets available, including paw patrol, shopkins and can also prepare custom orders. At just 14 years old, the girls have learned how to financially manage their business entirely on their own. They have recently purchased a cotton candy machine from the money they saved and now offer the added service of freshly made cotton candy at events and birthday parties. 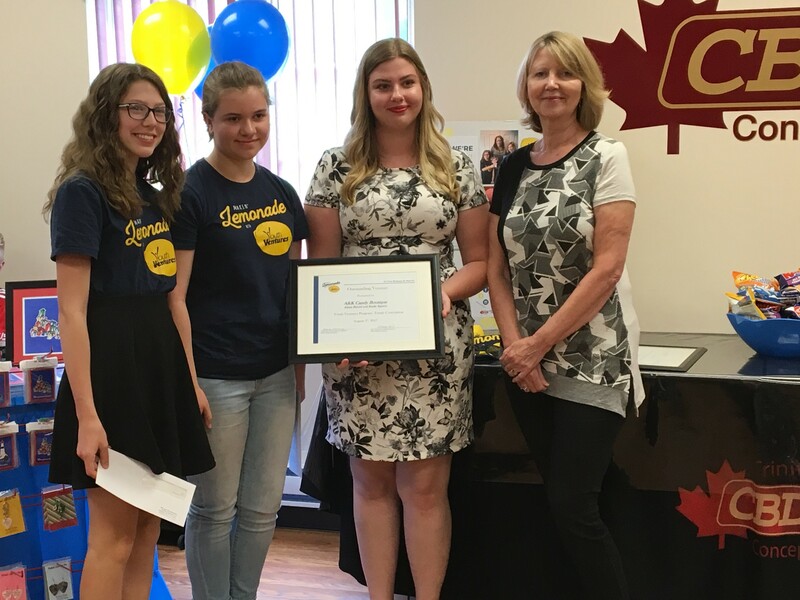 Alyssa and Karlie won 2017 Outstanding Venture at the local CBDC Trinity Conception Youth Ventures awards and went on to win the Excellence in Financial Management at the 2017 Provincial Awards ceremony!